Hello and welcome to She Hearts Sunday! This week’s an extra special one for me, as my boyfriend and I are currently moving into our new apartment. Having so far lived our London life in a studio, we can’t wait for some elbow room (and wardrobe space) where we can both live comfortably and flourish creatively. That brings me on to the next exciting announcement: I’m starting a Youtube channel! I’ve always wanted to be a part of the Youtube scene, however our studio didn’t allow space for the set up. Now we have space, I’m ready to roll and I have tonnes of great video ideas already. My channel will focus on fashion; everything from styling videos and lookbooks to hauls and plenty more to boot, I’ll be sure to post up here when my first video goes live! Lastly this was the week where my favourite artists of all-time, Daft Punk, announced that they’ll be releasing another studio album in May. Can it get any better…check out this week’s hearts and see for yourself. It’s the new app that everyone’s talking about, and which I was at first super dubious about. But, I’ve now embraced and got really into Vine and I think it’s a great tool, particularly for bloggers and creative types to use to create a more dynamic post than say on Instagram or Twitter. So what is it? Well, it’s an app that allows you to create a 6 second video, whether straight up without ‘frames’, or by creating a series of clips that link to form a montage, and you can even create short stop motion animations of sorts. 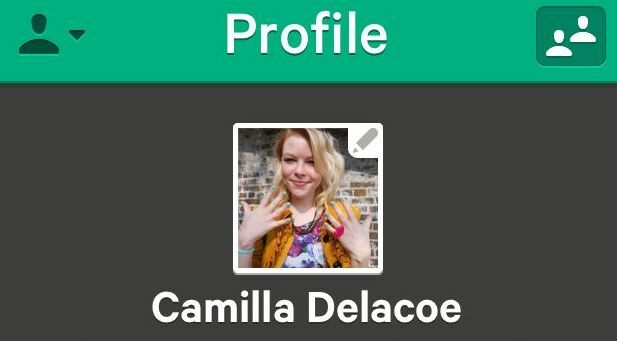 I’ve already got one fun, fashion-related packing post up there, so make sure you check it out and feel free to add me on there if you have it, I’d love to see some more great clips. On Thursday Fashion Week kicks off in New York, and that of course kicks off the four most celebrated fashion weeks the world over, in NY, London, Milan and Paris. Of course I’ll be constantly updating my blog with the best picks from all of the fashion weeks, but if you’d like to follow all the action yourself with ease and are unsure how, my upcoming ‘How To Follow Fashion Week’ post might be right up your street. Getting to see the a/w collections is always my favourite, as that time of year is the one I most enjoy fashion-wise. On top of that there’s the multitude of street style snaps that come out of the coverage, as well as a sneaky peek at who was on the FROW and what they wore. The most important part of course though is the collections themselves and there’s nothing I love more than grabbing a tea and trawling through all the show shots and live streams, what could be better? She was fabulous in The Birds, and since Hitchcock’s ‘Marnie’ came out about her bad past with Hitchcock, it’s only made me feel more admiration for her, as a strong woman who put her foot down! The actress who was notoriously harassed by Hitchcock due to his unhealthy obsession with her, has spoken out about her torment and recent hit ‘The Girl’ featuring Sienna Miller dramatised her struggle and gave her a more public voice. This amazing make up tutorial by Lisa Eldridge, the Queen of Youtube, shows you how to nail the much-coveted Tippi look from The Birds, and it is a gorgeous retro look. Of course Lisa offers some fascinating historical facts along the way, relating to Tippi’s ordeal too and model Svetlana is a deadringer for Tippi herself. Check it out. I knew I was going to love this tutorial before I even started watching it, and it’s true that I’m now obsessed. This ‘newspaper nails’ tutorial from Dolly Bow Bow is the perfect thing if you’re stuck in a nail art rut. Despite my love for nail art and interest in experimenting with nails, this concept never even crossed my mind, yet it’s such a classic, and simple idea. Kate shows you how to transfer the text from newspaper extracts onto your nails to create a fun print that can be worn over any light colour you want. I’m definitely doing this for my birthday next week and I’ll be sure to update you on how it goes. Sam of Beauty Crush is another individual who I would count as a great fashion inspiration. I love her grungier, more edgy style and basically adore everything she wears. In her latest and fabulously put-together lookbook, Sam shows you some gorgeous outfits that you can rock this winter and if you’re in Britain you could probably wear these in summer too- let’s be honest! Get ready to swoon over Sam’s ensembles and take mental notes if you’re feeling like you need a wardrobe update for the month ahead. Disclaimer: Images and videos not belonging to me link back to source.